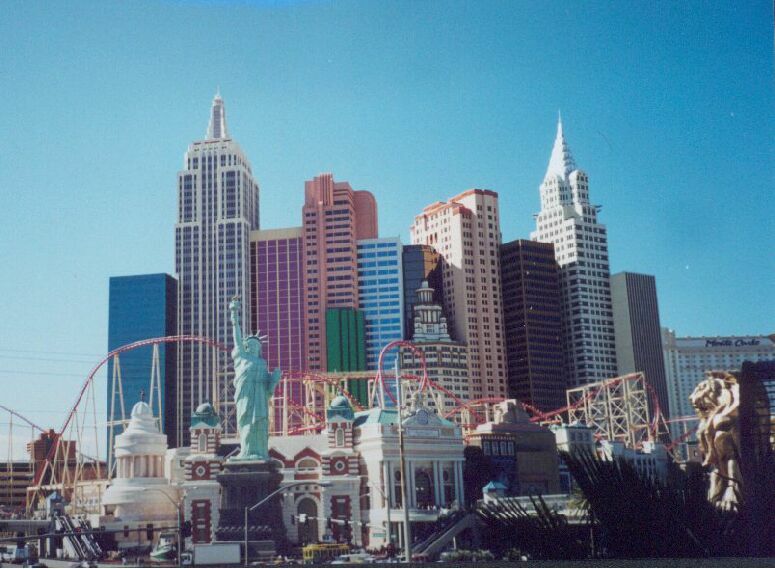 New York-New York is located on the busy "four-corners" intersection at Las Vegas Boulevard and Tropicana. 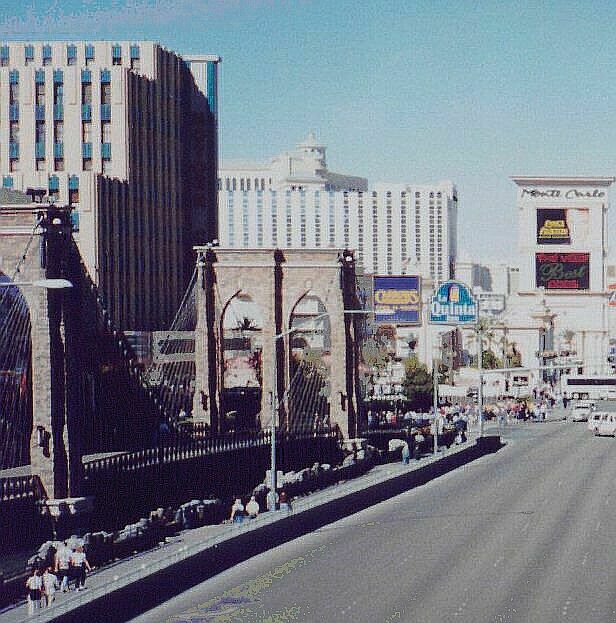 Four large resorts are at this intersection - the New York-New York, Excalibur, Tropicana and MGM Grand . The resort was opened in January, 1997. The twelve New York City hotel towers are about one-third the size of the actual buildings. The towers are replicas of some of New York's landmarks including the Empire State Building (47 stories) and the Chrysler Building (40 stories). 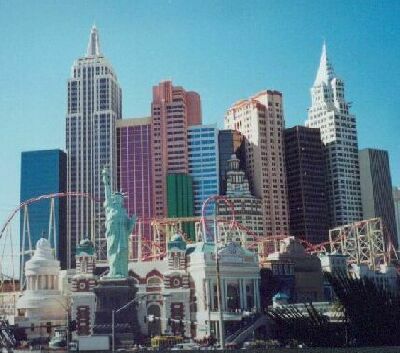 The exterior of the casino also contains replicas of New York landmarks (Grand Central Station, U.S. Customs House and others). 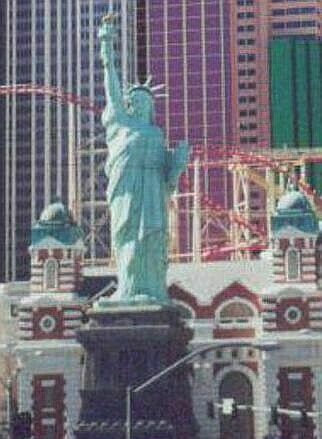 Inside the casino are more reminders of New York -- Times Square, Cental Park, the Financial District, Park Avenue and New Yorks restaurants. 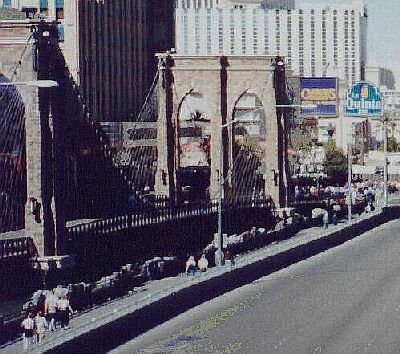 There is also the Manhattan Express roller coaster which you board from the inside.